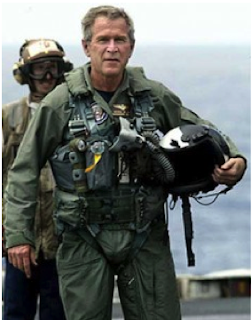 America is engaged in the longest and second most expensive war in its history — a small war in terms of forces deployed and optempos, but a war that is grinding on endlessly, without a glimmer of light at the end of the tunnel. 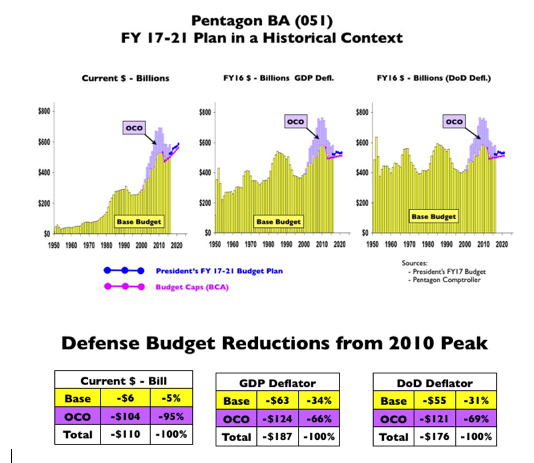 Contrary to the whining about constrained budgets causing readiness and modernization problems emanating from the Pentagon, all dutifully regurgitated without question by the mainstream media, defense spending in the Pentagon’s so called Base Budget is close to an all time high and poised to increase over the long term. The bulk of the Pentagon’s budget reductions from the recent peak in 2010 has been concentrated in the war fighting account (the Overseas Contingencies Operations (or OCO) account — and this is true regardless of if or how one accounts for inflation. Compared to the OCO, reductions in the Pentagon’s so-called Base Budget — i.e., that part of the defense budget responsible for maintaining readiness and ensuring modernization — have been relatively modest . Moreover, President Obama is leaving his successor with a base budget containing a modernization bow wave that is poised to explode, creating unstoppable political pressures for growing defense budgets until the end of the next decade or even beyond . 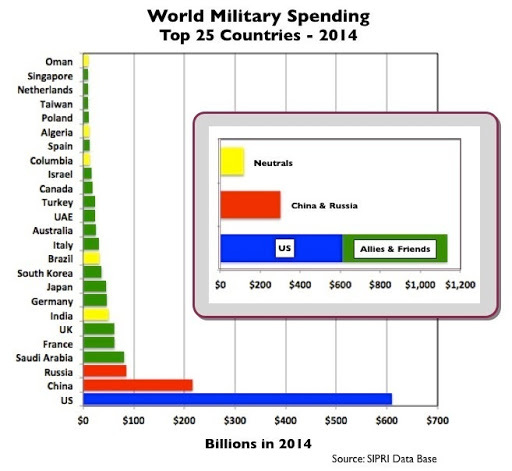 Yet the United States now spends far more on the military than any other country in the world. Add in the expenditures of our allies, and the spending advantage over any conceivable combination of adversaries becomes overwhelming. Claiming today that we must increase the Pentagon’s budget to counter the rising threats of spending increases by Russia and China is tantamount to saying that defense spending by the Military - Industrial - Congressional Complex in the United States is grotesquely inefficient when compared to the spending of the MICC’s equivalents in Russia and China. 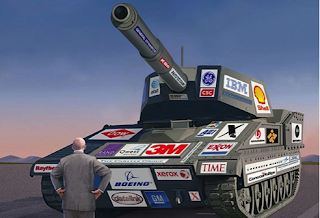 To be sure, the alternative press is full of essays describing the patent lunacy of America’s militarized foreign policy, but very little ink has been devoted to analyses of how the dirty triangular political forces of the Military - Industrial - Congressional Complex (or MICC) drive that policy. Some people hope Donald Trump will reign in the big green spending machine with a less aggressive foreign policy. But Trump is a grotesque bully, whose wild divagations of the mind exhibit neo-fascist behaviour by inflaming hatred and xenophobia among his alienated and adoring supporters. His recent kowtowing to Israel on the question of military aid  suggests Trump is a transparent phony to boot. 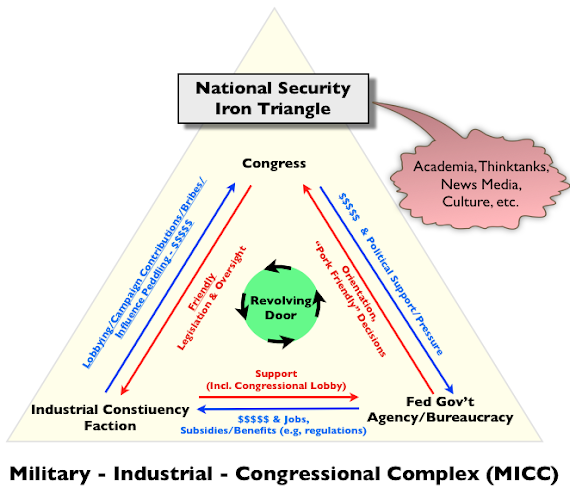 So, ‘Trump the Bully’ will end up spending what the power brokers in the MICC’s Iron Triangle tell him to spend. Hillary Clinton’s public attitude toward defense spending is one of maintaining silence, no doubt to pacify the left. All she has said (last September) was that she would appoint a blue ribbon panel to examine the size of the defense budget, if elected president. But her attitude toward the “symptom" of the domestic political imperative to keep spending at high levels — i.e., her attitude toward America’s militarized foreign policy — is obvious and ominous as David Bromwich brilliantly explains in The Roots of Hillary’s Infatuation with War — a very important essay, which I urge readers to study carefully. She will play the tough girl, and in so doing, like Mr. Trump, she will also end up spending what the power brokers in the MICC’s Iron Triangle tell her to spend. When I worked in the Pentagon, we had a term for describing this type of sick situation — the United States has maneuvered itself into one big sticky "chocolate mess." 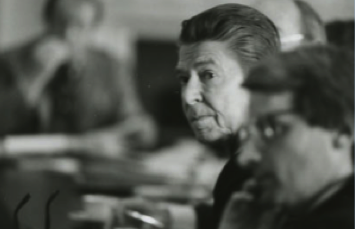 An incorrigible belief in the purity of one’s motives is among the most dangerous endowments a politician can possess.